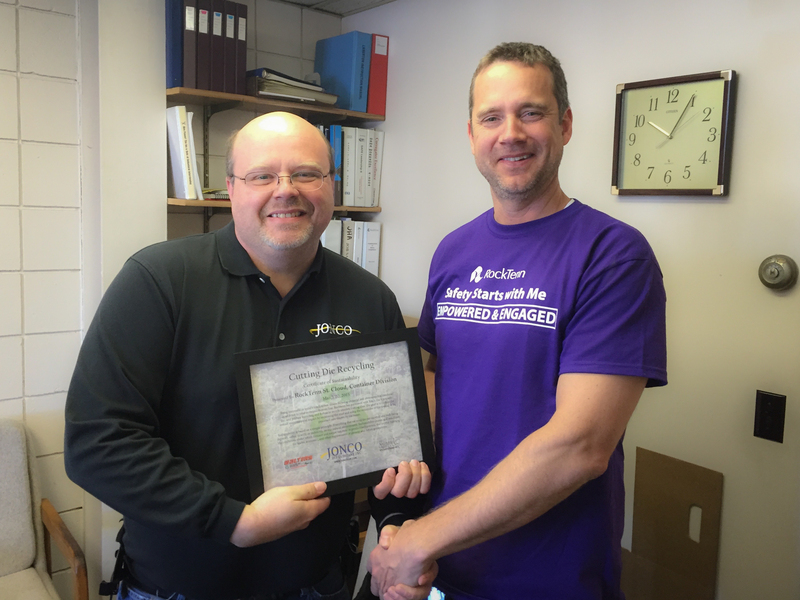 RockTenn in St.Cloud gets Certificate of Sustainability | Jonco Die Company Inc.
Al Mackedanz at RockTenn In St.Cloud Minnesota was presented with a certificate of sustainability for participating in the cutting die recycling program. The Jonco cutting die recycling program includes the full reclamation of all the steel in the cutting die with the remainder of die being processed into electricity. the well being of the environment, society and our employees. Jonco is a member of MN Waste Wise.